Here’s another excerpt from the draft manuscript of my forthcoming book, Computing the Climate. The idea that the temperature of the planet could be analyzed as a mathematical problem was first suggested by the French mathematician, Joseph Fourier⁠, in the 1820s. Fourier had studied the up-and-down cycles of temperature between day and night, and between summer and winter, and had measured how deep into the ground these heating and cooling cycles reach. It turns out they don’t go very deep. At about 30 meters below the surface, temperatures remain constant all year round, showing no sign of daily or annual change. Today, Fourier is perhaps best remembered for his work on the mathematics of such cycles, and the Fourier transform, a technique for discovering cyclic waveforms in complex data series, was named in his honour. The temperature of any object is due to the balance of heat entering and leaving it. If more heat is entering, the object warms up, and if more heat is leaving, it cools down. For the planet as a whole, Fourier pointed out there are only three possible sources of heat: the sun, the earth’s core, and background heat from space. His measurements showed that the heat at the earth’s core no longer warms the surface, because the diffusion of heat through layers of rock is too slow to make a noticeable difference. He thought that the temperature of space itself was probably about the same as the coldest temperatures on earth, as that would explain the temperature reached at the poles in the long polar winters. On this point, he was wrong—we now know space is close to absolute zero⁠, a couple of hundred degrees colder than anywhere on earth. But he was correct about the sun being the main source of heat at the earth’s surface. Fourier also realized there must be more to the story than that, otherwise the heat from the sun would escape to space just as fast as it arrived, causing night-time temperatures to drop back down to the temperature of space—and yet they don’t. We now know this is what happens on the moon, where temperatures drop by hundreds of degrees after the lunar sunset. So why doesn’t this happen on Earth? The solution lay in the behaviour of ‘dark heat’, an idea that was new and mysterious to the scientists of the early nineteenth century. Today we call it infra-red radiation. Fourier referred to it as ‘radiant heat’ or ‘dark rays’ to distinguish it from ‘light heat’, or visible light. But really, they’re just different parts of the electromagnetic spectrum. Any object that’s warmer than its surroundings continually radiates some of its heat to those surroundings. If the object is hot enough, say a stove, you can feel this ‘dark heat’ if you put your hand near it, although it has to get pretty hot before we can feel the infra-red it gives off⁠. As you heat up an object, the heat it radiates spreads up the spectrum from infra-red to visible light—it starts to glow red, and then, eventually white hot. Fourier’s theory was elegantly simple. Because the sun is so hot, much of its energy arrives in the form of visible light, which passes through the atmosphere relatively easily⁠, and warms the earth’s surface. As the earth’s surface is warm, it also radiates energy. The earth is cooler than the sun, so the energy the earth radiates is in the form of dark heat. Dark heat doesn’t pass though the atmosphere anywhere near as easily as light heat, so this slows the loss of energy back to space. The surface temperature of the earth is determined by the balance between the incoming heat from the sun (shortwave rays, mainly in the visible light and ultra-violet) and the outgoing infra-red, radiated in all directions from the earth. The incoming short-wave rays passes through the atmosphere much more easily than the long-wave outgoing infra-red. To explain the idea, Fourier used an analogy with the hotbox, a kind of solar oven, invented by the explorer Horace Bénédicte de Saussure⁠. The hotbox was a very well-insulated wooden box, painted black inside, with three layers of glass in the lid. De Saussure had demonstrated that the sun would heat the inside of the box to over 100°C, and that this temperature remains remarkably consistent, even at the top of Mont Blanc, where the outside air is much colder. The glass lets the sun’s rays through, but slows the rate at which the heat can escape. Fourier argued that layers of air in the atmosphere play a similar role to the panes of glass in the hotbox, by trapping the outgoing heat; like the air in the hotbox, the planet would stay warmer than its surroundings. A century later, Fourier’s theory came to be called the ‘greenhouse effect’, perhaps because a greenhouse is more familiar to most people than a hotbox⁠. While Fourier had observed that air does indeed trap some of the dark heat from the ground, it wasn’t clear why, until the English scientist John Tyndall conducted a series of experiments in the 1850s to measure how well this ‘dark heat’ passes through different gases. Tyndall’s experiments used a four foot brass tube, sealed at both ends with transparent disks of salt crystal—glass was no good as it also blocks the dark heat. The tube could be filled with different kinds of gas. A tub of boiling water at one end provided a source of heat, and a galvanometer at the other compared the heat received through the tube with the heat from a second tub of boiling water. When Tyndall filled the tube with dry air, or oxygen, or nitrogen, there was very little change. But when he filled it with the hydrocarbon gas ethene, the temperature at the end of the tube dropped dramatically. This was so surprising that he first suspected something had gone wrong with the equipment—perhaps the gas had reacted with the salt, making the ends opaque? After re-testing every aspect of the equipment, he finally concluded that it was the ethene gas itself that was blocking the heat. He went on to test dozens of other gases and vapours, and found that more complex chemicals such as vapours of alcohols and oils were the strongest heat absorbers, while pure elements such as oxygen and nitrogen had the least effect. Why do some gases allow visible light through, but block infra-red? It turns out that the molecules of each gas react to different wavelengths of light, depending on the molecule’s shape, similar to the way sound waves of just the right wavelength can cause a wine glass to resonate. Each type of molecule will vibrate when certain wavelengths of light hit it, making it stretch, contract, or rotate. So the molecule gains a little energy, and the light rays lose some. Scientists use this to determine which gases are in distant stars, because each gas makes a distinct pattern of dark lines across the spectrum from white light that has passed though it. Tyndall noticed that gases made of more than one element, such as water vapour (H2O) or carbon dioxide (CO2), tend to absorb more energy from the infra-red rays than gases made of a single type of element, such as hydrogen or oxygen. He argued this provides evidence of atomic bonding: it wouldn’t happen if water was just a mixture of oxygen and hydrogen atoms. On this, he was partially right. We now know that what matters isn’t just the existence of molecular bonds, but whether the molecules are asymmetric—after all, oxygen gas molecules (O2) are also pairs of atoms bonded together. The more complex the molecular structure, the more asymmetries it has, and the more modes of vibration and spin the bonds have, allowing them to absorb energy at more different wavelengths. Today, we call any gas that absorbs parts of the infra-red spectrum a greenhouse gas. Compounds such as methane (CH4) and ethene (C2H4) absorb energy at more wavelengths than carbon dioxide, making them stronger greenhouse gases. 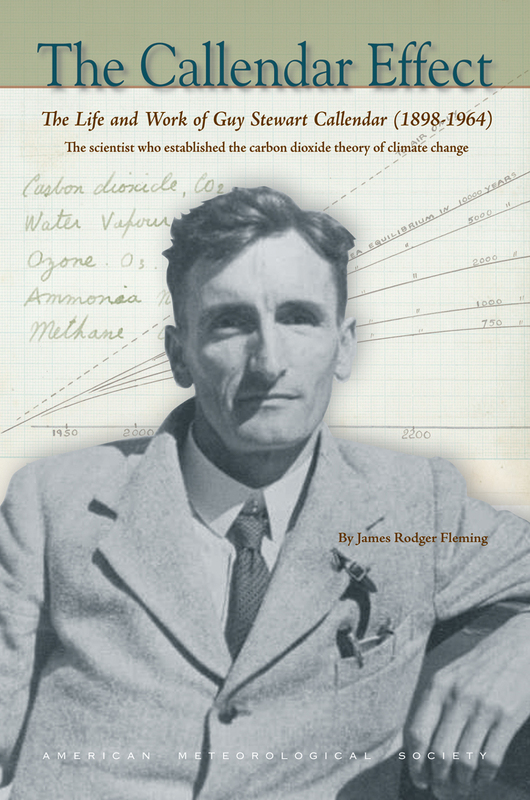 Tyndall’s experiments showed that greenhouse gases absorb infra-red even when the gases are only present in very small amounts. Increasing the concentration of the gas increases the amount of energy absorbed, but only up to a point. Once the concentration is high enough, adding more gas molecules has no further effect—all of the rays in that gas’s absorption bands have been blocked, while rays of other wavelengths pass through unaffected. Today, we call this saturation. Tyndall concluded that, because of its abundance in the atmosphere, water vapour is responsible for most of the heat trapping effect, with carbon dioxide second. Some of the other vapours he tested have a much stronger absorption effect, but are so rare in the atmosphere they contribute little to the overall effect. Tyndall clearly understood the implications of his experiments for the earth’s climate, arguing that it explains why, for example, temperatures in dry regions such as deserts drop overnight far more than in more humid regions. In the 1861 paper describing his experimental results, Tyndall argued that any change in the levels of water vapour and carbon dioxide, “must produce a change of climate”. 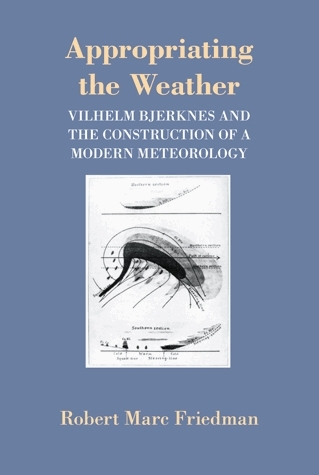 He speculated that “Such changes in fact may have produced all the mutations of climate which the researches of geologists reveal”. I’m heading off to Florence this week for the International Conference on Software Engineering (ICSE). The highlight of the week will be a panel session I’m chairing, on the Karlskrona Manifesto. The manifesto itself is something we’ve been working on since last summer – a group of us wrote the first draft at the Requirements Engineering conference in Karlskrona, Sweden, last summer (hence the name). This week we’re launching a website for the manifesto, and we’ve published a longer technical paper about it at ICSE. The idea of the manifesto is to inspire deeper analysis of the roles and responsibilities of technology designers (and especially software designers), given that software systems now shape so much of modern life. We rarely stop to think about the unintended consequences of very large numbers of people using our technologies, nor do we ask whether, on balance, an idea that looks cool on paper will merely help push us even further into unsustainable behaviours. The position we take in the manifesto is that, as designers, our responsibility for the consequences of our designs are much broader than most of us acknowledge, and it’s time to do something about it. Environmental sustainability: the long term viability of natural systems, including ecosystems, resource consumption, climate, pollution food, water, and waste. Social sustainability: the quality of social relationships and the factors that tend to improve or erode trust in society, such as social equity, democracy, and justice. Individual sustainability: the health and well-being of people as individuals, including mental and physical well-being, education, self-respect, skills, and mobility. Economic sustainability: the long term viability of economic activities, such as businesses and nations, including issues such as investment, wealth creation and prosperity. Technical sustainability: the ability to sustain technical systems and their infrastructures, including software maintenance, innovation, obsolescence, and data integrity. There are of course, plenty of other ways of defining sustainability (which we discuss in the paper), and some hard constraints in some dimensions – e.g. we cannot live beyond the resource limits of the planet, no matter how much progress we make towards sustainability in other other dimensions. But a key insight is that all five dimensions matter, and none of them can be treated in isolation. For example, we might think we’re doing fine in one dimension – economic, say, as we launch a software company with a sound business plan that can make a steady profit – but often we do so only by incurring a debt in other dimensions, perhaps harming the environment by contributing to the mountains of e-waste, or harming social sustainability by replacing skilled jobs with subsistence labour. You can read the full manifesto at sustainabilitydesign.org, and watch for the twitter tags #KarlskronaManifesto and #SustainabilityDesign. I’m looking forward to lots of constructive discussions this week. 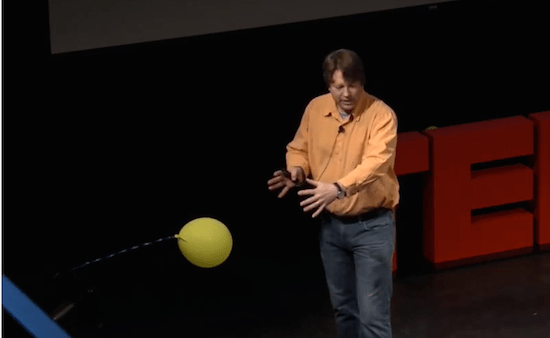 At the beginning of March, I was invited to give a talk at TEDxUofT. Colleagues tell me the hardest part of giving these talks is deciding what to talk about. I decided to see if I could answer the question of whether we can trust climate models. It was a fascinating and nerve-wracking experience, quite unlike any talk I’ve given before. Of course, I’d love to do another one, as I now know more about what works and what doesn’t. Computing the Climate: How Can a Computer Model Forecast the Future? TEDxUofT, March 1, 2014. Talking about the weather forecast is a great way to start a friendly conversation. The weather forecast matters to us. It tells us what to wear in the morning; it tells us what to pack for a trip. We also know that weather forecasts can sometimes be wrong, but we’d be foolish to ignore them when they tell us a major storm is heading our way. [Unfortunately, talking about climate forecasts is often a great way to end a friendly conversation!] Climate models tell us that by the end of this century, if we carry on burning fossil fuels at the rate we have been doing, and we carry on cutting down forests at the rate we have been doing, the planet will warm by somewhere between 5 to 6 degrees centigrade. That might not seem much, but, to put it into context, in the entire history of human civilization, the average temperature of the planet has not varied by more than 1 degree. So that forecast tells us something major is coming, and we probably ought to pay attention to it. But on the other hand, we know that weather forecasts don’t work so well the longer into the future we peer. Tomorrow’s forecast is usually pretty accurate. Three day and five day forecasts are reasonably good. But next week? They always change their minds before next week comes. So how can we peer 100 years into the future and look at what is coming with respect to the climate? Should we trust those forecasts? Should we trust the climate models that provide them to us? Six years ago, I set out to find out. I’m a professor of computer science. I study how large teams of software developers can put together complex pieces of software. I’ve worked with NASA, studying how NASA builds the flight software for the Space Shuttle and the International Space Station. I’ve worked with large companies like Microsoft and IBM. My work focusses not so much on software errors, but on the reasons why people make those errors, and how programmers then figure out they’ve made an error, and how they know how to fix it. To start my study, I visited four major climate modelling labs around the world: in the UK, in Paris, Hamburg, Germany and in Colorado. Each of these labs have typically somewhere between 50-100 scientists who are contributing code to their climate models. And although I only visited four of these labs, there are another twenty or so around the world, all doing similar things. They run these models on some of the fastest supercomputers in the world, and many of the models have been in construction, the same model, for more than 20 years. We know it’s very hard to build a large complex piece of software without making mistakes. Even the space shuttle’s software had errors in it. So the question is not “is the software perfect for predicting the future?”. The question is “Is it good enough?” Is it fit for purpose? To answer that question, we’d better understand what that purpose of a climate model is. First of all, I’d better be clear what a climate model is not. 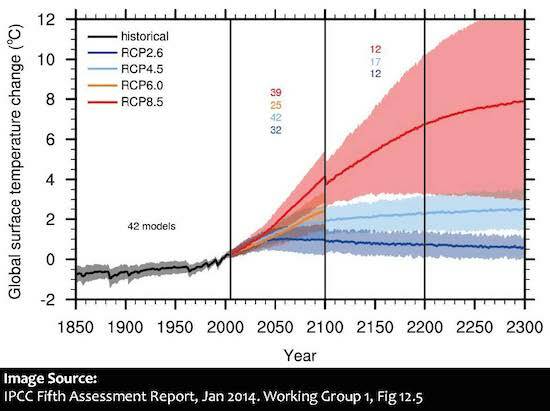 A climate model is not a projection of trends we’ve seen in the past extrapolated into the future. If you did that, you’d be wrong, because you haven’t accounted for what actually causes the climate to change, and so the trend might not continue. They are also not decision-support tools. A climate model cannot tell us what to do about climate change. It cannot tell us whether we should be building more solar panels, or wind farms. 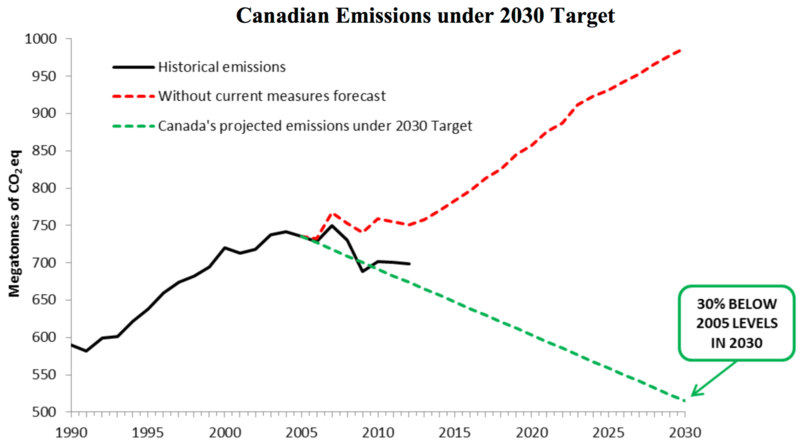 It can’t tell us whether we should have a carbon tax. It can’t tell us what we ought to put into an international treaty. What it does do is tell us how the physics of planet earth work, and what the consequences are of changing things, within that physics. I could describe it as “computational fluid dynamics on a rotating sphere”. But computational fluid dynamics is complex. I went into my son’s fourth grade class recently, and I started to explain what a climate model is, and the first question they asked me was “is it like Minecraft?”. Well, that’s not a bad place to start. If you’re not familiar with Minecraft, it divides the world into blocks, and the blocks are made of stuff. They might be made of wood, or metal, or water, or whatever, and you can build things out of them. There’s no gravity in Minecraft, so you can build floating islands and it’s great fun. Climate models are a bit like that. 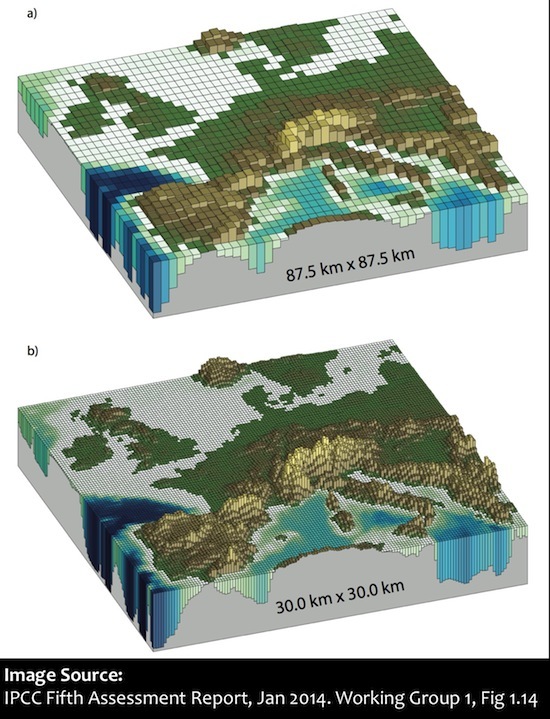 To build a climate model, you divide the world into a number of blocks. The difference is that in Minecraft, the blocks are made of stuff. In a climate model, the blocks are really blocks of space, through which stuff can flow. At each timestep, the program calculates how much water, or air, or ice is flowing into, or out of, each block, and if so, in which directions? It calculates changes in temperature, density, humidity, and so on. And whether stuff such as dust, salt, and pollutants are passing through or accumulating in each block. We have to account for the sunlight passing down through the block during the day. Some of what’s in each block might filter some of the the incoming sunlight, for example if there are clouds or dust, so some of the sunlight doesn’t get down to the blocks below. There’s also heat escaping upwards through the blocks, and again, some of what is in the block might trap some of that heat — for example clouds and greenhouse gases. Ideally, you want to make the blocks as small as possible, but then you have many more blocks to keep track of, and you get to the point where the computer just can’t run fast enough. A typical run of a climate model, to simulate a century’s worth of climate, you might have to wait a couple of weeks on some of the fastest supercomputers for that run to complete. So the speed of the computer limits how small we can make the blocks. Building models this way is remarkably successful. Here’s video of what a climate model can do today. This simulation shows a year’s worth of weather from a climate model. What you’re seeing is clouds and, in orange, that’s where it’s raining. Compare that to a year’s worth of satellite data for the year 2013. If you put them side by side, you can see many of the same patterns. You can see the westerlies, the winds at the top and bottom of the globe, heading from west to east, and nearer the equator, you can see the trade winds flowing in the opposite direction. If you look very closely, you might even see a pulse over South America, and a similar one over Africa in both the model and the satellite data. That’s the daily cycle as the land warms up in the morning and the moisture evaporates from soils and plants, and then later on in the afternoon as it cools, it turns into rain. Note that the bottom is an actual year, 2013, while the top, the model simulation is not a real year at all – it’s a typical year. So the two don’t correspond exactly. You won’t get storms forming at the same time, because it’s not designed to be an exact simulation; the climate model is designed to get the patterns right. And by and large, it does. [These patterns aren’t coded into this model. They emerge as a consequences of getting the basic physics of the atmosphere right]. 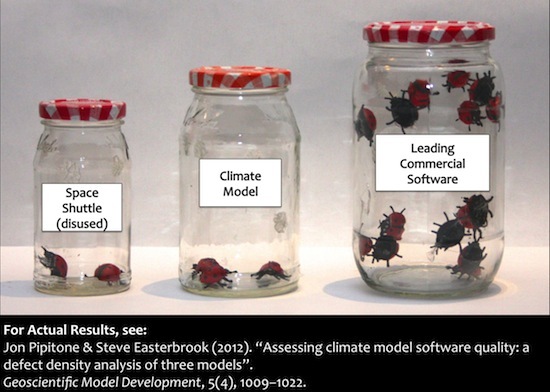 So how do you build a climate model like this? The answer is “very slowly”. It takes a lot of time, and a lot of failure. One of the things that surprised me when I visited these labs is that the scientists don’t build these models to try and predict the future. They build these models to try and understand the past. They know their models are only approximations, and they regularly quote the statistician, George Box, who said “All models are wrong, but some are useful”. What he meant is that any model of the world is only an approximation. You can’t get all the complexity of the real world into a model. 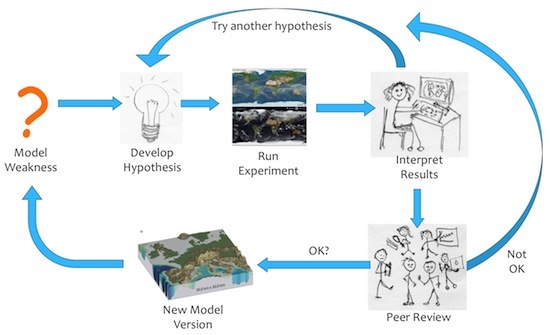 But even so, even a simple model is a good way to test your theories about the world. So the way that modellers work, is they spend their time focussing on places where the model does isn’t quite right. For example, maybe the model isn’t getting the Indian monsoon right. Perhaps it’s getting the amount of rain right, but it’s falling in the wrong place. They then form a hypothesis. They’ll say, I think I can improve the model, because I think this particular process is responsible, and if I improve that process in a particular way, then that should fix the simulation of the monsoon cycle. And then they run a whole series of experiments, comparing the old version of the model, which is getting it wrong, with the new version, to test whether the hypothesis is correct. And if after a series of experiments, they believe their hypothesis is correct, they have to convince the rest of the modelling team that this really is an improvement to the model. Climate modellers also have a few other weapons up their sleeves. Imagine for a moment if Microsoft had 25 competitors around the world, all of whom were attempting to build their own versions of Microsoft Word. Imagine further that every few years, those 25 companies all agreed to run their software on a very complex battery of tests, designed to test all the different conditions under which you might expect a word processor to work. And not only that, but they agree to release all the results of those tests to the public, on the internet, so that anyone who wanted to use any of that software can pore over all the data and find out how well each version did, and decide which version they want to use for their own purposes. Well, that’s what climate modellers do. There is no other software in the world for which there are 25 teams around the world trying to build the same thing, and competing with each other. I’m going to throw it at the fifth row. Now, you might want to know who will get wet. 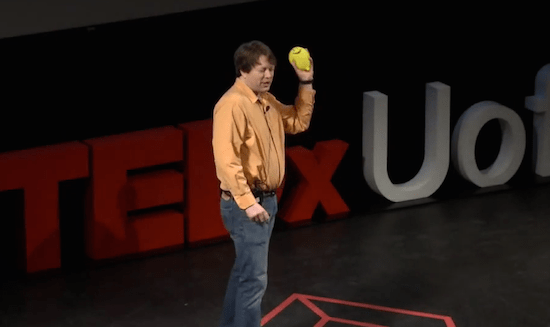 You could measure everything about my throw: Will I throw underarm, or overarm? Which way am I facing when I let go of it? How much swing do I put in? If you could measure all of those aspects of my throw, and you understand the physics of how objects move, you could come up with a fairly accurate prediction of who is going to get wet. If I make any small mistakes in measuring my throw, those mistakes will multiply as the balloon travels further. The further I attempt to throw it, the more room there is for inaccuracy in my estimate. That’s like weather forecasting. Any errors in the initial conditions multiply up rapidly, and the current limit appears to be about a week or so. Beyond that, the errors get so big that we just cannot make accurate forecasts. The initial conditions are almost irrelevant. It doesn’t matter where the balloon started, what matters is what’s shaping its boundary. So can these models predict the future? Are they good enough to predict the future? The answer is “yes and no”. We know the models are better at some things than others. They’re better at simulating changes in temperature than they are at simulating changes in rainfall. We also know that each model tends to be stronger in some areas and weaker in others. If you take the average of a whole set of models, you get a much better simulation of how the planet’s climate works than if you look at any individual model on its own. What happens is that the weaknesses in any one model are compensated for by other models that don’t have those weaknesses. But the results of the models have to be interpreted very carefully, by someone who knows what the models are good at, and what they are not good at – you can’t just take the output of a model and say “that’s how it’s going to be”. Also, you don’t actually need a computer model to predict climate change. The first predictions of what would happen if we keep on adding carbon dioxide to the atmosphere were produced over 120 years ago. That’s fifty years before the first digital computer was invented. And those predictions were pretty accurate – what has happened over the twentieth century has followed very closely what was predicted all those years ago. Scientists also predicted, for example, that the arctic would warm faster than the equatorial regions, and that’s what happened. They predicted night time temperatures would rise faster than day time temperatures, and that’s what happened. So in many ways, the models only add detail to what we already know about the climate. They allow scientists to explore “what if” questions. For example, you could ask of a model, what would happen if we stop burning all fossil fuels tomorrow. And the answer from the models is that the temperature of the planet will stay at whatever temperature it was when you stopped. For example, if we wait twenty years, and then stopped, we’re stuck with whatever temperature we’re at for tens of thousands of years. You could ask a model what happens if we dig up all known reserves of fossil fuels, and burn them all at once, in one big party? Well, it gets very hot. More interestingly, you could ask what if we tried blocking some of the incoming sunlight to cool the planet down, to compensate for some of the warming we’re getting from adding greenhouse gases to the atmosphere? There have been a number of very serious proposals to do that. There are some who say we should float giant space mirrors. That might be hard, but a simpler way of doing it is to put dust up in the stratosphere, and that blocks some of the incoming sunlight. It turns out that if you do that, you can very reliably bring the average temperature of the planet back down to whatever level you want, just by adjusting the amount of the dust. Unfortunately, some parts of the planet cool too much, and others not at all. The crops don’t grow so well, and everyone’s weather gets messed up. So it seems like that could be a solution, but when you study the model results in detail, there are too many problems. 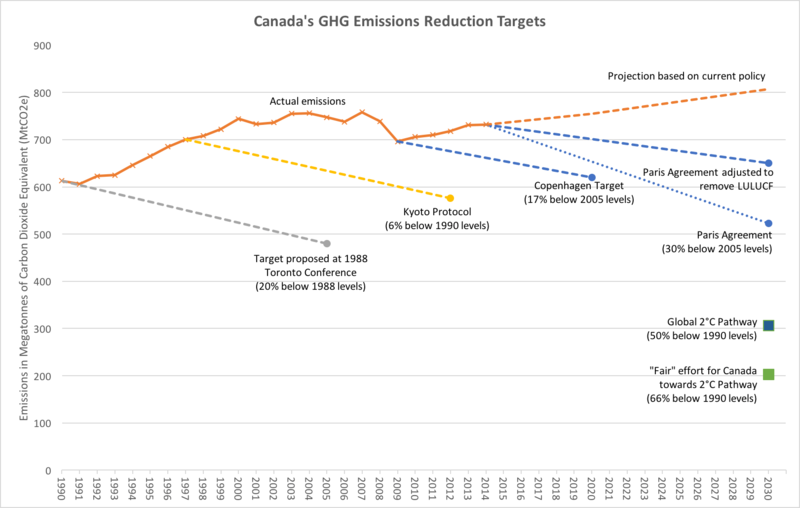 So when you see a graph like this, which comes from the latest IPCC report that just came out last month, it doesn’t tell us what to do about climate change, it just tells us the consequences of what we might choose to do. Remember, humans aren’t represented in the models at all, except in terms of us producing greenhouse gases and adding them to the atmosphere. If we keep on increasing our use of fossil fuels — finding more oil, building more pipelines, digging up more coal, we’ll follow the top path. And that takes us to a planet that by the end of this century, is somewhere between 4 and 6 degrees warmer, and it keeps on getting warmer over the next few centuries. On the other hand, the bottom path, in dark blue, shows what would happen if, year after year from now onwards, we use less fossil fuels than we did the previous year, until about mid-century, when we get down to zero emissions, and we invent some way to start removing that carbon dioxide from the atmosphere before the end of the century, to stay below 2 degrees of warming. The models don’t tell us which of these paths we should follow. They just tell us that if this is what we do, here’s what the climate will do in response. You could say that what the models do is take all the data and all the knowledge we have about the climate system and how it works, and put them into one neat package, and its our job to take that knowledge and turn it into wisdom. And to decide which future we would like.